While Ballingarry AFC have clocked up a fair amount of success over the seasons there are still a few trophies that have yet to be adorned with Green and Gold ribbons. This trophy used to be presented to the winners of the FAI Junior Cup Area final when the Limerick Desmond League was allocated a final by the FAI. However when the format of the FAI Junior Cup changed at the start of the 1988-89 season when Area finals were abolished, the trophy was taken out of commission. A new competition was introduced with the Reidy Joinery cup as the prize in season 1991-92 for clubs within the LDL who opted not to enter the FAI Junior Cup. The competition for the Reidy Joinery Cup was further modified in the mid nineties to what we find today. It is now confined to junior teams in an open draw competition that play outside of the Premier division. Ballingarry AFC has the notable distinction of featuring in the last Desmond League FAI Junior Cup Area Final (Reidy Joinery Cup) when they lost to NCW. 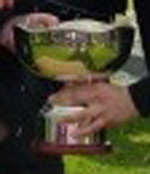 This trophy was presented to the Limerick Desmond League in 2004 by Joe and Helen Hogan in memory of their son Richard. The competition is open to all teams that play in Division 2 and lower. 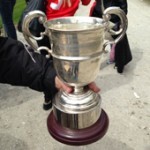 Introduced by the Munster Football Association in 2011 The MFA League Champions Trophy is open to the winners of the top Division in the affiliated Junior Leagues and any such teams at the discretion of council. In previous seasons these clubs entered the Munster Senior Cup but with the introduction of this competition junior clubs were no longer admitted into the Munster Senior Cup. Introduced in 1922 the competition is annual and is open to all affiliated Junior teams in the province of Munster and any such teams at the discretion of council. 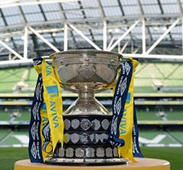 The FAI Junior Cup is a football competition organised by the Football Association of Ireland. It is regarded as one of the biggest competitions at the junior level in European football. More than 600 clubs from all parts of Ireland challenge for this historic trophy. The competition is played on a knock-out basis. In 2013 the final was played in the Aviva Stadium prior to the Republic of Irelands friendly with Georgia on 2 June, to mark the 90th anniversary of the formation of the FAI Junior Council. Introduced in 1922 this competition is open to all affiliated National League and Munster Senior League intermediate clubs. While Ballingarry AFC have competed in the competition just once when they were LDFL Premier Champions in 2004, under the present format (2011) they will not be able to compete in it again while remaining a junior football club.